We offer both permanent and portable systems that are truly state-of-the-art. Whether you’re building new facilties, or renovating existing facilities, sit back and let us help design the perfect seating arrangement. 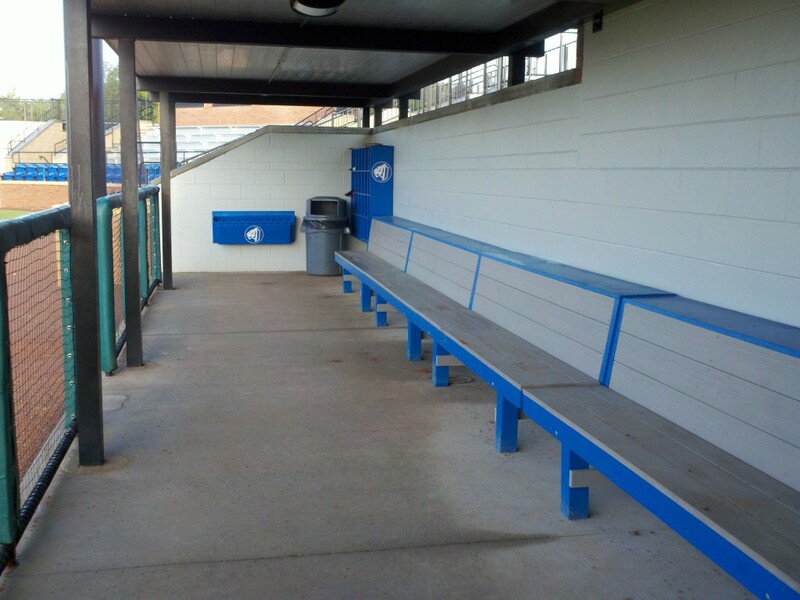 Team benches are available in all-aluminum, galvanized steel, and heavy-duty galvanized steel. The seating area can be flat planks or contoured, with and without backrests. Seating options range from single-plank to double-plank, to seats with backs. Permanence is achieved by bolting the unit to the floor or embedding into concrete. Whatever your choice, you can be assured that your bench will provide you years of maintenance-free service. 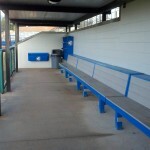 Non-elevated bleachers offer a quality product at an affordable price. 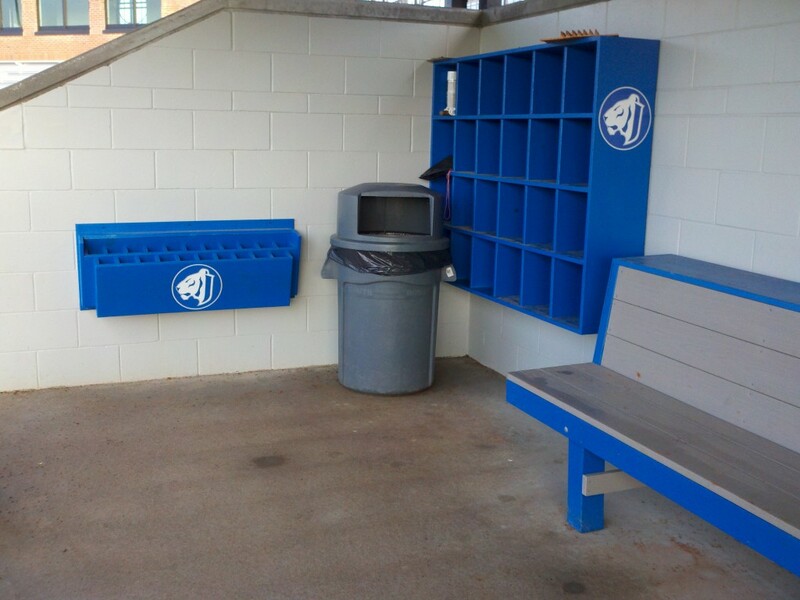 Three and four-row models with the top seat under 30″ are available, with the first-row seat under 12″ and each additional row with a 6″ rise. 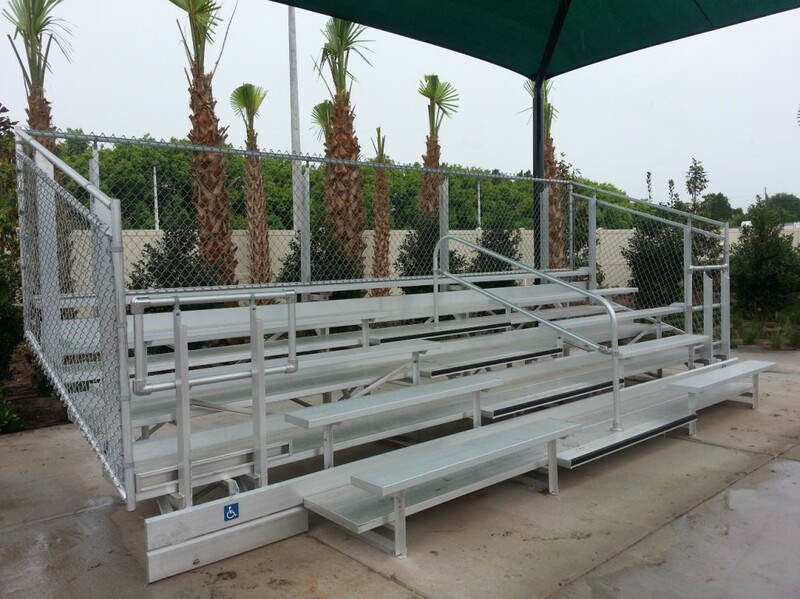 These bleachers are available in a variety of widths with aluminum seats and non-skid surfaces. All aluminum planks are furnished with smooth-finish end-caps that install easily using self-tapping screws. Framework understructure is heavy-duty galvanized steel with front and rear crossbraces for stabilization, robotically welded and hot-dipped galvanized. 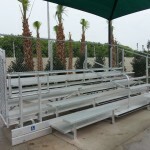 We also offer a truly-portable, over-the-road movable bleachers. 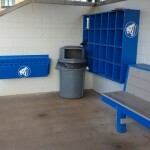 The design of these units allows maximum usage in many different locations. 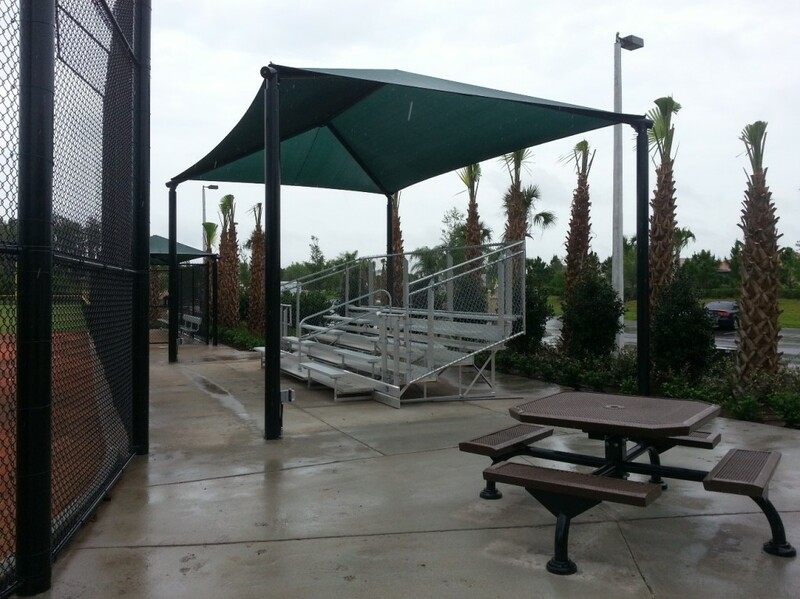 They consist of a maintenance-free aluminum understructure, seat planks, foot planks, and guardrail system that is then made an integral part of a hot-dipped galvanized trailer assembly. This combination creates a unit suitable for towing. This feature, coupled with the ability to quickly and easily go from their towing position to stationary ready-for-use position, makes them a very versatile seating system. 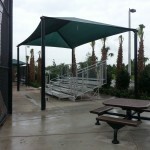 They can be used for spectator seating at one event and minutes later be enroute to yet another event across town.